n May 2012, the University of California, Berkeley, filed a patent application for biochemist Jennifer Doudna and the University of Vienna’s Emmanuelle Charpentier, then of Umeå University in Sweden, based on their seminal observation that the bacterial CRISPR-Cas9 gene-editing system can be used to target different sequences of DNA by reprogramming the system’s small homing guide RNAs. The Broad Institute of MIT and Harvard followed suit that December with applications for bioengineer Feng Zhang and colleagues covering CRISPR’s use in eukaryotic cells. When the US Patent and Trademark Office (USPTO) granted Zhang’s patent in April 2014, thanks to an expedited review process, a now-infamous dispute was born. The University of California (UC) group quickly filed for a patent interference hearing, which the USPTO’s Patent Trial and Appeal Board (PTAB) granted in December 2015. In February of this year, however, the PTAB three-judge panel ruled that the Broad’s innovations are patentable separately from the UC team’s original discovery. Not wanting to be limited to gene editing in bacteria, the UC side appealed the ruling in April, claiming that their original application covers the use of this technology in all cells—plant, animal, and human, in addition to bacterial. “There’s a lot of uncertainty right now about who is going to own what rights,” says Lisa Larrimore Ouellette, a law professor at Stanford University. While the dispute has little bearing on the use of CRISPR-Cas technology by academic researchers—who have unimpeded access so long as they don’t try to sell the fruits of their labor—those hoping to develop this technology for commercial uses find themselves navigating a challenging IP landscape. “[Some companies] have begun to think about licensing from both the Broad and UC Berkley, just to hedge their bets,” says Arti Rai, a law professor and codirector of the Duke Law Center for Innovation Policy at Duke University. Applications constituting more than 1,720 patent families—applications filed for the same invention in multiple countries are considered part of the same patent family—have been submitted worldwide by the Broad, UC, and hundreds of other institutions, companies, and researchers, according to Fabien Palazzoli, an analyst at IPStudies. “Around 100 new patent families on CRISPR are published each month,” says Palazzoli in an email to The Scientist. Less than 10 percent of these patents have been granted thus far, more than one third of them in the U.S., according to Palazzoli. Along with their collective commercial licensees, these patent holders are now making moves that will affect how this technology will be used and who will have access for years to come. Of the patent applications that have been granted, who owns what piece of CRISPR? The gene-editing technology is like an onion: the layers can be peeled back one by one, says Christi Guerrini, a bioethicist at Baylor College of Medicine. In the chart below, multiple patents are listed within the same claim category if they claim different pieces of the same technology. For instance, multiple patents exist for editing and tagging bacteria, though they differ in their precise means. Likewise, the same patent can fall under multiple claim categories, as patents often list more than one claim. 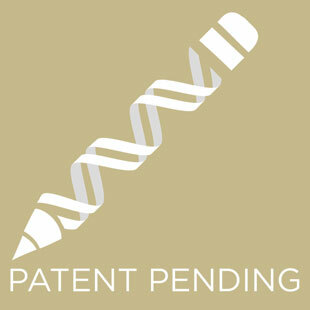 Already, the Broad, Rockefeller University, Harvard, and MIT have submitted 22 of their granted and pending CRISPR-Cas9 patents for consideration. MPEG LA wouldn’t divulge whether it has successfully wooed other patent holders, but is “very pleased with the results of our call for patents,” Neuman says. Whether UC will join is still unclear. Its decision will likely depend on the outcome of the UC team’s appeal of the patent interference ruling, notes Rai. If UC is granted its broad-reaching patent on appeal, it will command the lion’s share of CRISPR IP, and could likely negotiate for the bulk of the pool’s royalties. But, “historically, the king doesn’t join the pool,” says Rai. “If Berkeley wins, that will create quite a situation.” UC has declined to comment on its plans to enter the pool while the litigation is ongoing. Regardless of how the situation with UC plays out, these are “early days for the pool,” Neuman stresses, and its key patent holders have yet to define the terms. But, she says, the pool will likely entail nonexclusive licenses, allowing patent holders to enter into agreements with outside parties, should they choose to. It’s hard to predict how the pool would affect existing licensing agreements, she says. “MPEG LA is not privy to such agreements, which are between private parties, so we have no way of knowing how preexisting licenses [would be] affected (if at all) by subsequent patent pool formation,” she writes in an email. As per the pool’s nonexclusive licensing model, patent holders that have entered into exclusivity agreements would be barred from entering the pool with the same exclusively granted patent rights. Nonexclusive licenses have their pitfalls, notes New York Law School attorney Jacob Sherkow: they don’t lend themselves well to the development of human therapeutics. “You need some form of exclusivity for companies to conduct clinical trials,” he says, as a market monopoly incentivizes companies to take on the costs and liability of developing CRISPR-based treatment for disease. Otherwise, he says, it is unclear if anyone will pony up the resources. Neuman is familiar with this criticism. “That’s largely why we haven’t seen patent pools operating in human therapy,” she says. But according to her, a patent pool could set the stage for developing CRISPR-based therapeutics. For example, offering foundational CRISPR patents that are not focused on a specific therapy or gene on a nonexclusive basis might stir competition and accelerate innovation by giving “patent owners the opportunity to maximize return and minimize risk on their technology investments from many developers in many fields,” she explains in an email. 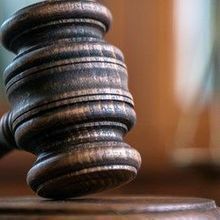 Narrow, disease-specific patents would be precluded from the patent pool, and thus would allow companies licensing those technologies to maintain exclusivity in a given market. The technology and scope of the pool’s patents are also still up in the air—this would depend on which patent holders end up joining the pool and the terms they negotiate—although the pool could lay claim to applications in agriculture, industrial biotechnology, and human therapeutics. Depending on how this shakes out, and given the complexity of CRISPR technology, “we might have to do a modular approach” and offer license subsets for specific purposes, Neuman says. The first meeting of the pool’s patent holders is slated for some time between October and the end of the year. Adding to the uncertainty, vast numbers of CRISPR patent applications are still pending, Neuman adds. “We’re just starting to see what the patent landscape looks like.” Even after it’s formed, the pool will continue to evolve as it keeps up with the ever-changing landscape. CRISPR Patents granted in the U.S. Most of the patent holders listed above are included based on their claims to CRISPR and/or Cas9 inventions and were identified using the USPTO’s full-text patent database. However, a few that did not explicitly state CRISPR-Cas in their claims were included based on their inventions’ association with or intended use of the CRISPR system. Earlier this year, Sherkow and University of Utah law professor Jorge Contreras published a detailed snapshot of the CRISPR licensing landscape (Science, 355:698-700). A complete picture, however, is nearly impossible to ascertain due to the lack transparency surrounding licensing. For instance, it’s common for entities to license technology based on pending or unpublished patent applications, says Rai. In fact, it happens all the time, although nothing can be enforced until the patent is granted. When it comes to commercialization of human therapeutics, it’s clear that the patent holder’s licensees are in control. 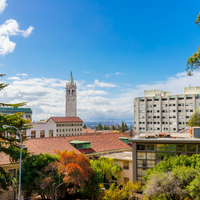 Both UC Berkeley and the Broad have granted broad, exclusive rights for human therapeutics to their respective commercial enterprises—Berkeley to Caribou Biosciences, Intellia Therapeutics, and CRISPR Therapeutics, and the Broad to Editas Medicine. By granting such far-reaching, unrestrictive licenses, these patent holders have effectively passed off the responsibility of deciding who gets to commercialize CRISPR in the therapeutics space, Sherkow explains, as other entities seeking to commercialize now have to approach these companies for sublicensing. 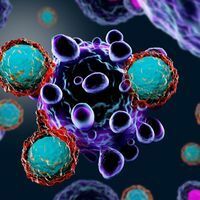 For instance, Editas has an exclusive agreement with Juno for CRISPR-based CAR T-cell technology, whereas CRISPR Therapeutics has granted Vertex rights to use CRISPR for cystic fibrosis therapeutics. Guerrini, on the other hand, feels that the Broad has a thoughtful approach to licensing CRISPR and commends it for negotiating certain restrictions with various commercial entities. For instance, Monsanto holds a nonexclusive license for the use of CRISPR in agriculture, but cannot use the Broad’s technology for commercializing gene drives or tobacco products. Similarly, Editas and its sublicensees cannot venture into germline editing or use CRISPR to grow organs for human transplantation. “Their decisions demonstrate caution and delay where appropriate, and reflect the general ethical consensus on the use of this technology for these purposes,” Guerrini says. The value of the licenses and sublicenses that have been granted so far remains to be seen, however, pending the outcome of the ongoing legal dispute in the U.S. Some of the license agreements that have enabled the development of CRISPR-based CAR-T treatments, among other therapeutics, stem from the foundational CRISPR patents that are embroiled in the dispute between UC Berkeley and the Broad, for example. Editas, the exclusive licensee of the Broad’s patents that are involved in the dispute, is confident that the PTAB’s no-interference ruling in the Broad’s favor will stand, according to Editas communications head Cristi Barnett. “[T]he appeal does not in any way impact our plans to continue investing in this technology,” she writes in an email to The Scientist. It’s typical for inventors to apply for the same patent in multiple countries. 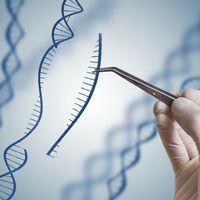 Overseas, major CRISPR players from the U.S., including the University of California, Berkeley, and the Broad Institute of MIT and Harvard, have done so in order to extend their status as key patent holders. China’s State Intellectual Property Office (SIPO) has granted the UC team its controversial patent with claims to CRISPR in both prokaryotic and eukaryotic cells—the same one that’s embroiled in the dispute with the Broad in the U.S. The European Patent Office (EPO) has also granted UC Berkeley this wide-ranging patent. In Europe, there are currently more than 25 CRISPR-related patents, according to IPStudies, 10 of which belong to the Broad and its collaborators.